Impact Sandbags come in a variety of shapes and weights. They are used for securing the bases of light stands and set walls. This Impact Empty Saddle Sandbag - 35 lb (Orange Cordura) has two wings, to allow draping over light stand legs. 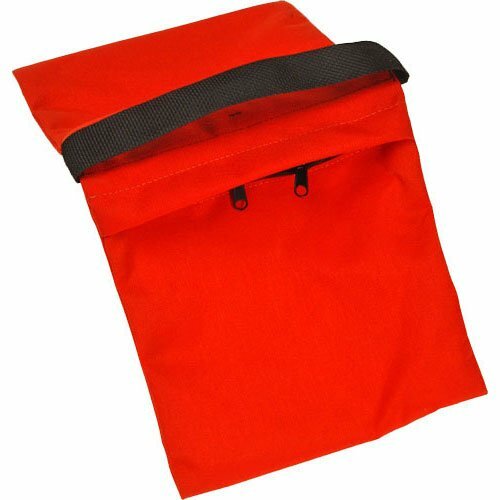 Each side of the bag has a hand strap for easy handling and hanging on hooks.